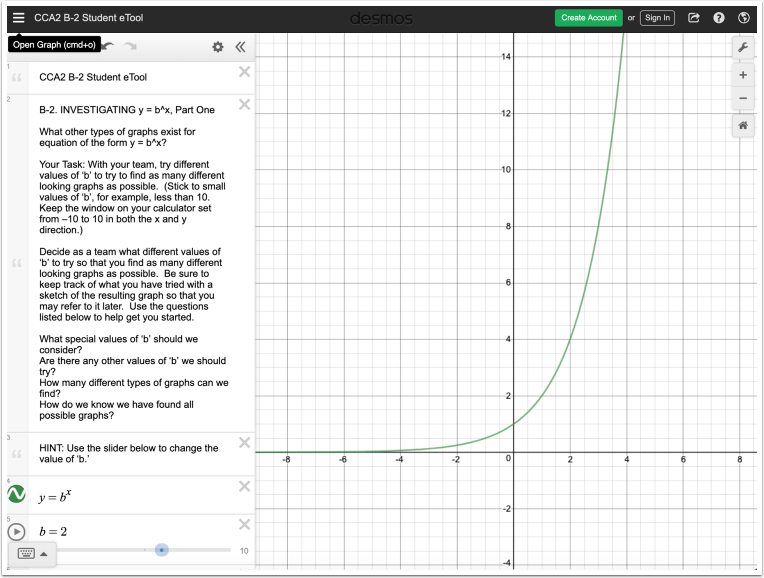 Your Task: With your team, try different values of b to try to find as many different looking graphs as possible. Note: Stick to small values of b, for example, less than 10. Keep the window on your calculator set from –10 to 10 in both the x and y direction. 1. Click on the BLUE point (slider) and drag horizontally to change the value of 'b'.